* Providing the A's to the 5 HIGHLY RECOMMENDED Q's today is Jack Hayter, the writer of many a hauntingly olde English folk tune, who has a new album coming out in March on Gare Du Nord Records that you should go check out (as well as the accompanying album backstory). I couldn’t possibly answer that sensibly, but when I get stuck, or fed up, or realise that I’m acting like an arse I put this on. I don’t remember how I originally came by it, I’ve never bothered to look up anything else by Bobby Conn in case I’m disappointed (maybe you could advise me there), but this always cheers me up. I do hope this is the child friendly version. be available in the darker reaches a few days after that. I’m excited about it. It looks a lot of fun...and I know the kids I teach in Southeast London are drooling at the faint whiff of Vibranium in the air. So I’m looking forward to a classic superhero movie that sparks discussion. I hope I’m not disappointed. It’s been an unexpectedly good couple of years for thoughtfully put together American blockbusters eg The Lego Movie. 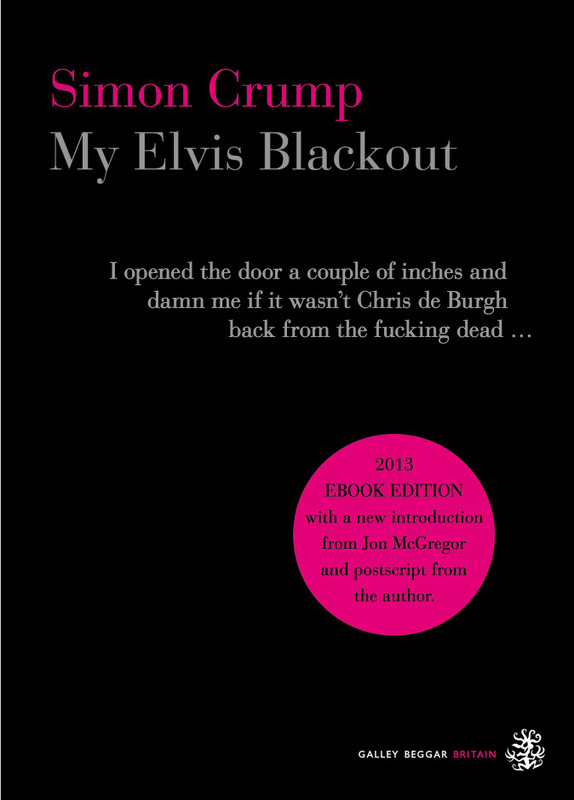 I’ve just re-read a little book called “My Elvis Blackout” by Simon Crump. Everybody who has ever heard of Elvis should have a copy. Everybody who has ever thought about the corruption that rocknroll can bring to the psyche should read it, and everyone who has ever felt a bit glum on hearing Chris De Burgh’s awful “Lady In Red” should too...because he gets executed on the orders of The King (sadly there is a biblical resurrection). There... I’ve sold it to you already. I was going to say Google Calendar which has changed my life from a random set of happenings into something vaguely planned, but being more honest, the online Guardian cryptic crossword is something I try to complete every day, and something I would really miss. Talk to strangers...or at least eschew the bubble a bit more than you feel comfortable with.If you don’t then you may make yourself blind or ill.
OK folks, there you have it. Things that Jack Hayter thinks you should consider incorporating into your day/life. Before you log off to go find a stranger to talk to, go follow Jack on the Twitter & Facebook and then head over to his Bandcamp page and let him put you under an Abbey Wood spell.